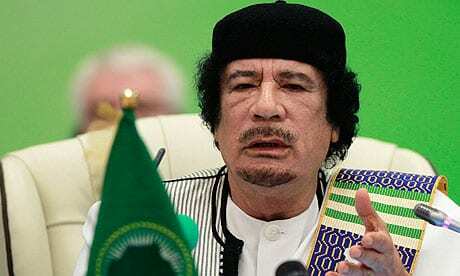 The Libyan situation is still a chaos, seven years after NATO intervened in 2011 and overthrew the Yamahiriyya and killed Colonel Muammar Gaddafi. Since France recently failed in its attempts to forge peace, it is now Italy’s turn – with the support of US president Donald Trump. The Palermo conference was held on November 12-13. France, the UK and the EU have quite a hand into the matter of Libyan elections and the development in the country. The paradox, of course, being that Western elites seem bent on continuing to decide who is to rule Libya – the negation of a “free election”. Western powers are still clear on not being interested in including the man who is said to have united the Libyan tribes behind him: Saif al-Islam Gaddafi, son of the late Colonel Muammar Gaddafi. How to forge peace in a country where you don’t want the people’s choice to be heard? The West – US, EU and France – has continually attempted to control the Libyan elections by dictating who is allowed to run, excluding Gaddafi ever since the first talks. Also read: Saif al-Islam Gaddafi may run for President in Libyan Elections – Ron Paul Institute. 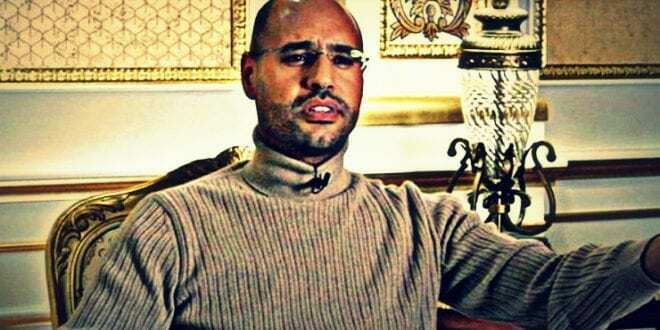 Before the uprising, Saif Al-Islam was the architect of the new Libya. He presented his new vision of Libya free of political prisons, committed to human rights charter, distribution of wealth, prosperity and democracy. He embarked on political and economic reforms in Libya whereby the radical Islamic prisoners gained their freedom, rehabilitated and engaged in the Libyan society. Once the violent uprising erupted in some Libyan cities, local sources confirm that he offered his help by engaging in human relief efforts to help the displaced people around the country, released the uprising prisoners, securing the Misratah people who caught on the cross fire and sheltered the Benghazi people who fled the fighting areas. 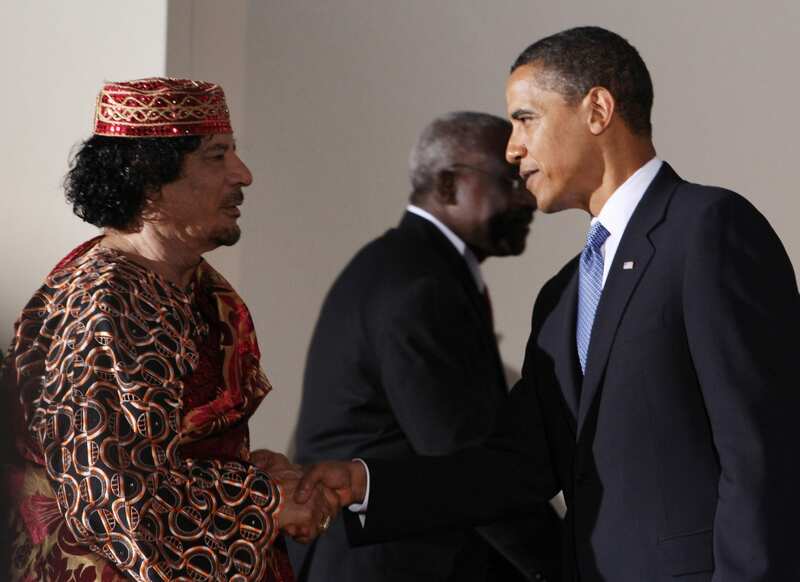 He also called and supported the peace efforts to solve the Libyan civil war. According to sources on the ground, he asked the University of Sirte’s administration to print 5000 leaflets and distributed to the peaceful convoy to Benghazi contained observing human rights, calling for the army to uphold the rule of engagement and prohibiting the use of force against the protesters. The later was stated by the Head of the Joint Operation Chamber in the 2011 Libyan war, Marchal Al-Hadi Embarrish, who was taken as a prisoner of war by the Al-Zintan militias, badly treated and deprived from medical treatment until he died of cancer in prison in 2014. The Zindan area in Libya. France24. It could be argued that the ICC case against Saif al-Islam should be completely dropped especially after the Attorney General assassination in Benghazi and fleeing most Public Prosecution team as they faced an immense pressure from the militias. With all these circumstances, the ICC arguments were that his death sentence has not been implemented and therefore he should be arrested and jailed in Al-Hadhaba prison. However, his death sentence was appealed by the Libyan Ministry of Justice on the ground of unfair trial since the court was set in a prison controlled by the Al-Shareef who has power over the court and the judges. Nevertheless, the ICC continued calling for his retrial and turned a blind eye on the fact that Saif Al-Islam was in the Al-Zintan prison and the Tripoli court had tried him via close circuit TV. Therefore, the ICC should respect the Libyan law and be aware that a person should not be tried twice for one alleged crime. But the end game for the West and ICC is to get rid of Saif Al-Islam Qaddafi as they did with his father Qaddafi and his brothers. It is time for the ICC to drop its double standards and side with the Libyan people in their ultimate aim that to salvage their country from these militias and build a new Libya where human rights, prosperity, development and rule of law prevails. We also call upon the ICC to drop its call for Saif Al-Islam to be extradited and tried by the ICC. It could be argued that the case should be completely dropped especially after the Attorney General assassination in Benghazi and fleeing most Public Prosecution team as they faced an immense pressure from the militias. With all these circumstances, the ICC arguments were that his death sentence has not been implemented and therefore he should be arrested and jailed in Al-Hadhaba prison. evertheless, the ICC continued calling for his retrial and turned a blind eye on the fact that Saif Al-Islam was in the Al-Zintan prison and the Tripoli court had tried him via close circuit TV. Instead, the ICC should recognise and respect the Libyan Ministry of Justice General Amnesty Law by which Saif Al-Islam Qaddafi should assume his role in the struggle for a new democratic Libya. In this respect and after the Western countries began to see their mistake, they should work with the sincere Libyans and NGOs to bring these militias and their leaders to justice for the sake of peace and reconciliation. If this was to be taken into consideration by the Italian government, they might be able to do precisely what they wish for: Forge peace in Libya.